This Designer Western Jewelry Pendant is warm in color like the Great Plains. 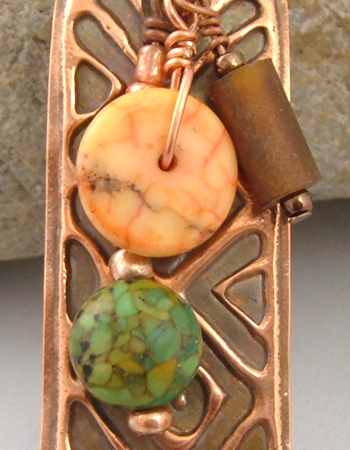 It's handformed and made of pure copper and adorned with green turquoise, coral and horn beads, all reminiscent of the West. 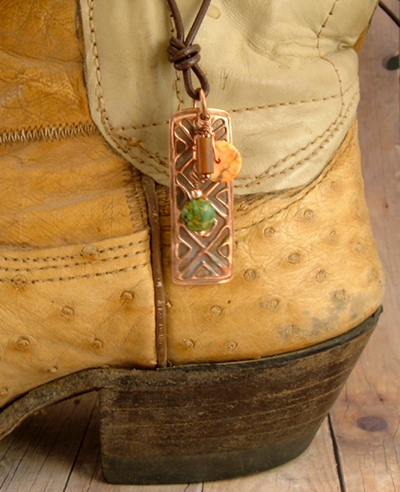 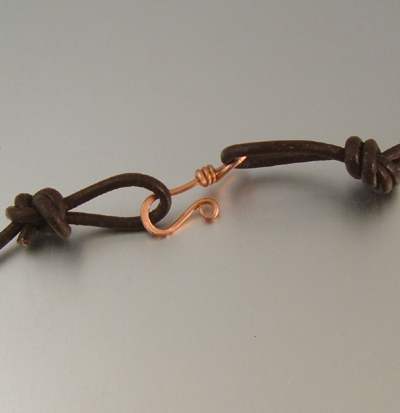 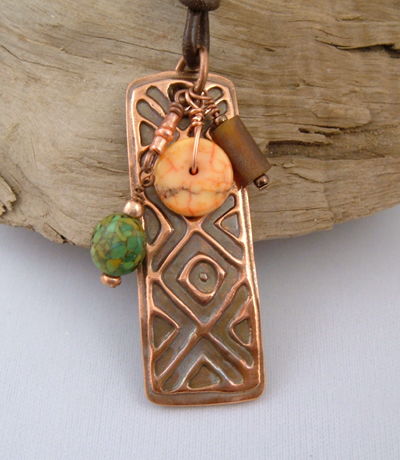 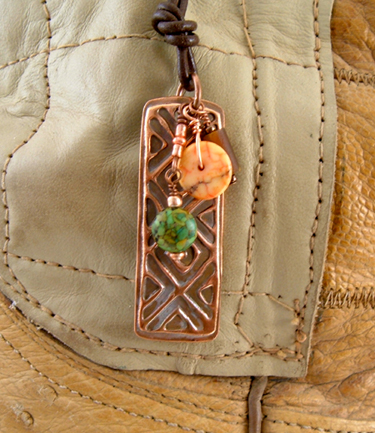 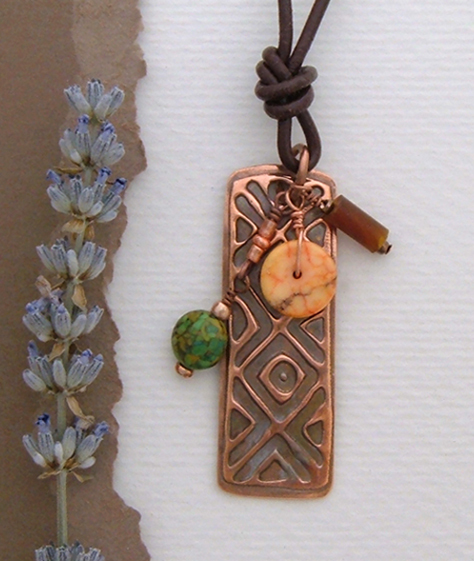 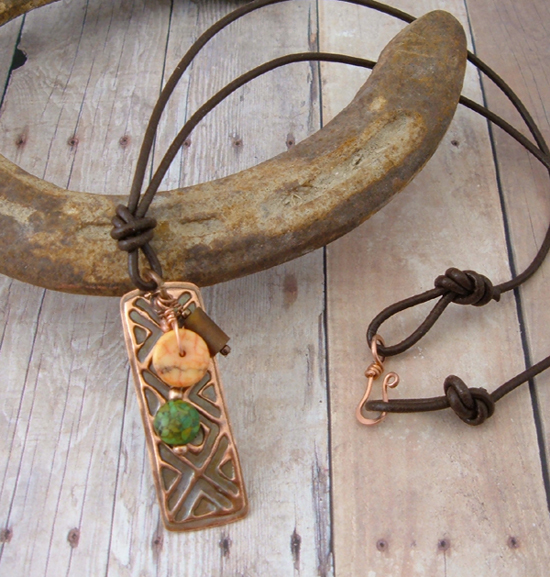 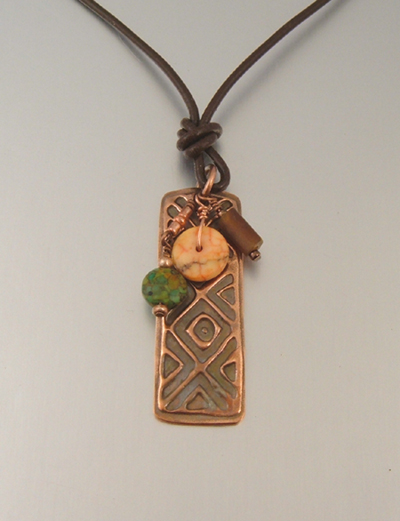 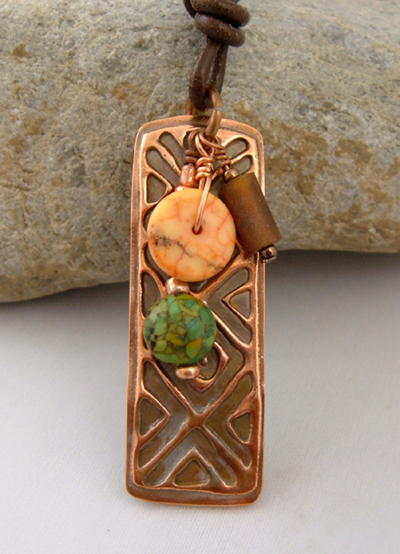 The copper has been given a fired patina adding an iridescences to the pendant.